TORONTO - Nuclear power provided 60 per cent of Ontario's electricity in 2015, while renewables such as wind and solar power added only a tiny amount to the supply mix. The Independent Electricity System Operator says Ontario got 24 per cent of its electricity from hydro-generated power from dams and run-of-river generators, and another 10 per cent from gas-and-oil fired generation. Wind power supplied six per cent of the province's electricity last year, while solar power and biofuel generation each added less than one per cent to the grid. The province stopped burning coal to generate electricity in 2014, but it had been providing about 25 per cent of Ontario's power a decade ago. The average electricity price for Ontario residential consumers was 10.14 cents a kilowatt hour in 2015, more than double the rates from 2008. 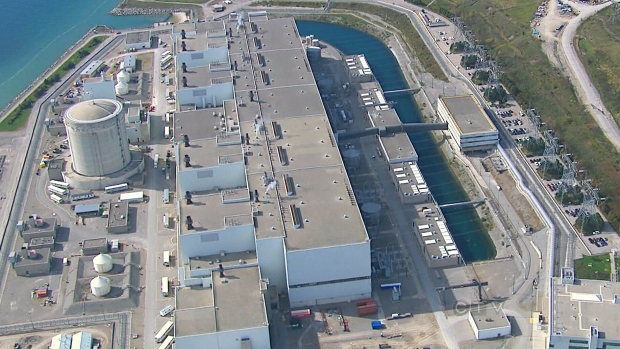 Premier Kathleen Wynne wants to keep generating about half of Ontario's electricity from nuclear power, and her government has announced plans to refurbish the Darlington and Bruce nuclear generating stations at a total cost of nearly $26 billion.